Todays date comes about but once a century – the 11th day of the 11th month 2011. 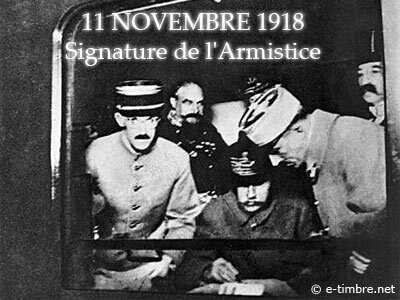 On this day, at 11.11am on 11/11/1918, the Armistice ending World War 1 was signed in a railway carriage in a wood near Paris. On this day in 1921, the British Legion introduced the Poppy as the symbol of remembrance of fallen British soldiers, a potent emblem of the bravery of men and the horrors of war to this day. It has slowly gained token acceptance in this Republic of ours, constrained by our long history of.conflict with our nearest neighbour, even though tens of thousands of Irishmen died in British uniforms in many conflicts across the globe. In 1940 on this day, a new word came in our automobile lexicon – the Americans launched a new general purpose (G.P.) vehicle which has become universally known as the “jeep” (from those initials). 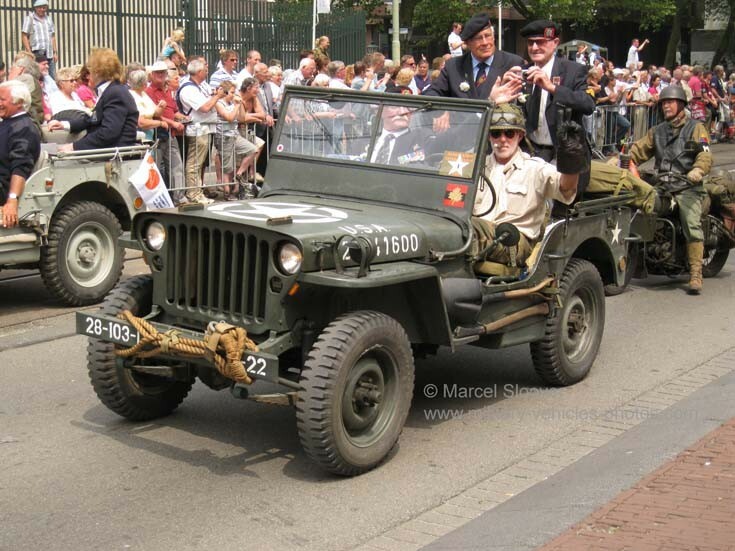 It has spawned many versions by countless manufacturers worldwide but its image will be forever etched in our memory from the many WW2 movies featuring the US armed forces in Europe and the Far East. 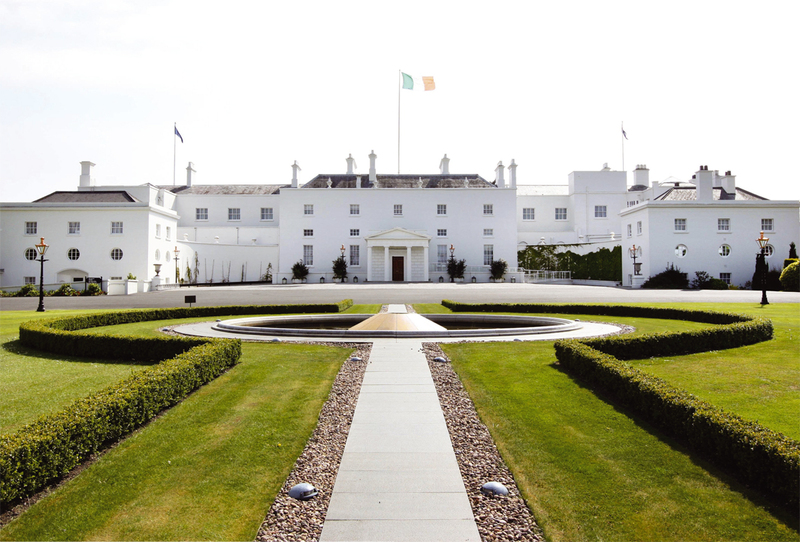 Here in Ireland, today marks the changing of the guard in Aras an Uachtarain (President’s Palace), when the incumbant Mary Mc Aleese stands down after an inspiring double term of 14 years, making way for the incoming President, Michael D Higgins. 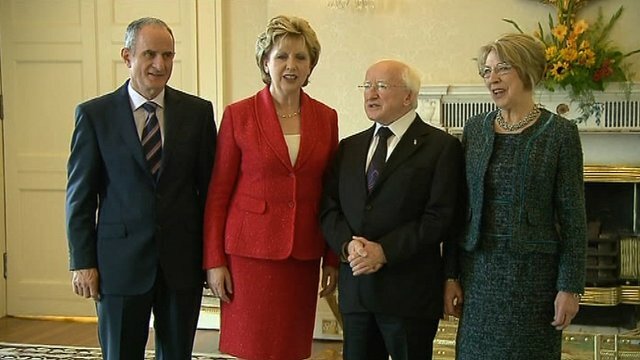 Her grace and openess to welcome one and all, her ability to speak out eloquently but firmly in times of crisis, her efforts to help foster peace and reconciliation on this island, her compassion and professionalism through her terms of office will be a hard act to follow and she will be missed. With her husband Martin, they formed a team that represented what was best in the Irish people, jointly working diligently to foster peace and promote confidence and enterprise in our citizens. They reached out to our many hundreds of thousands of emigrants who have settled across the globe bringing a message of goodwill from the auld sod. Our 9th President, Michael D Higgins come to the office with a resounding endorsement from the people of Ireland, having received more than 1 million votes in the recent election. He is an academic, a poet, a distinguished parliamentarian and a human rights activist who has featured in Irish public life for most of his adult life. He has been outspoken over the years on many issues, especially in the area of human rights abuses and the arts, where he played a pivotal role as Minister for Arts, Culture and Gaeltacht in the 1990’s. He was responsible for setting up Ireland’s first Irish speaking TV channel TG4 and brought about many improvements in the world of the Arts, setting up of a network of local arts venues and theatres right across Ireland. Of course, another good reason to like Michael D – he will be installing his new Bernese Mountain dog Bruno into the Aras – all dog lovers will take pleasure in that vote of confidence. Bruno is a rescue dog, whose owners are emigrating to New Zealand and Michael D hopes to have him in their new home before Christmas. I hope he behaves himself when the dignatories are about and doesn’t cause any embarrassing doggie moments. Maybe my trusty mutt Toesun might drop into the Park someday to have a sniff of the Presidential mutt’s bum – who knows! Today, the 11th of November, begins another episode in the hopes of our soccer team as they play Estonia in Talinn in the first leg of a 2 match decider to see which team will qualify for the European Championships in Poland – Ukraine next summer. Despite overseeing some terrible football and ignoring some talented players, our manager Giovanni Trappatoni has moulded a committed team of average players into a force to be reckoned with. Let’s hope the rub of the green stays with our boys in green and the “Green Army” of friendly supportors can march across the fields of Northen Europe to spread the “craic” again next summer. Good luck Michael D and Ireland, go n-eiri an bothar libh (may the road rise with you) and thak you Mary Mac for being there. This entry was posted in Irish Matters by Charlie Kavanagh. Bookmark the permalink.